These days, making WhatsApp backup on iPhone is always a great idea considering it one of the most popular and widely used messenger apps across the world. Also, while you reset your iPhone or update the iOS firmware, there are higher chances of losing valuable data including WhatsApp. As the local WhatsApp backup is susceptible to get lost during update or resetting the iOS device, or due to buggy app problems. It would be wise to save the iPhoneWhatsApp backup on Google Drive/iCloud/computer. This way, you won't risk your precious data. Through this article, we are introducing 4 methods to backup WhatsApp chats from your iPhone. To know more, just scroll down! Creating WhatsApp backup from iPhone using your iCloud Drive is a good option. When it is stored in iCloud Drive, you can access it anytime and restore WhatsApp on your iPhone without any glitch. Prior to creating a backup on iCloud Drive, you need to turn on iCloud on your iPhone and log in with the Apple ID. You can do that by, browsing 'Settings' on your iPhone > 'Swipe Up' on 'Home Screen' > 'iCloud' > 'iCloud Drive' > turn on 'iCloud Drive'. Go to 'Apps' and turn on 'iCloud' access for WhatsApp. Step 1:	Launch 'WhatsApp' on your iPhone > 'Settings' > 'Chats' > 'Chat Backup'. Step 2:	Now, you need to decide instant or periodic backup by selecting 'Auto Backup' and then set the backup frequency as 'Daily/Weekly/Monthly' for 'Auto Backup' option. Step 3: Click 'Back Up Now' > choose 'Include videos' if desired by toggling the switch adjacent to it. Now, your iPhone's WhatsApp Backup will be available on iCloud Drive. Step 1:	Launch 'WhatsApp' on your iPhone and click the group desired subject/contact name. This particular chat backup will be emailed. Step 2: Click on the 'Email Chat/Email Conversation' option and choose 'Attach Media/Without Media'. Step 3: Now, select the 'Mail' app and key in your preferred email ID that you want this WhatsApp backup file get emailed to. If you are not satisfied with the way WhatsApp chat backup done for iPhone using the above methods, then Tenorshare iCareFone is the perfect solution for you. You can backup WhatsApp on your computer selectively using this program. Free download the program on your PC or Mac, connect iPhone to computer and click "Backup & Restore" from the main interface. 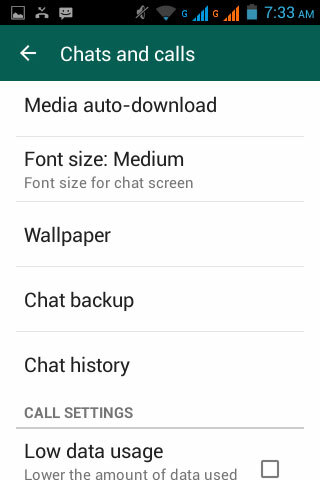 Then choose the data type and click "Backup" to create backups of your WhatsApp. Enabling WhatsApp chat backup for iPhone to be done automatically on iCloud on a regular basis is not tough. You can do that following these simple steps – First, you need to turn on iCloud Backup on your iPhone. To do this, browse 'Settings' on your iPhone > [your name] > 'iCloud' > 'iCloud Backup'. You need to connect your iPhone to a strong Wi-Fi network after charging it to the optimum. Ensure that the iPhone screen has been locked and there is enough free space on iCloud to save the backup file. By default, you get only 5GB of space in iCloud during signup. For storing data beyond that, you need to buy it from Apple. From this article, you learnt that iPhone's WhatsApp backup can be done in multiple ways. But Tenorshare iCareFone seems the ultimate solution among all of them. 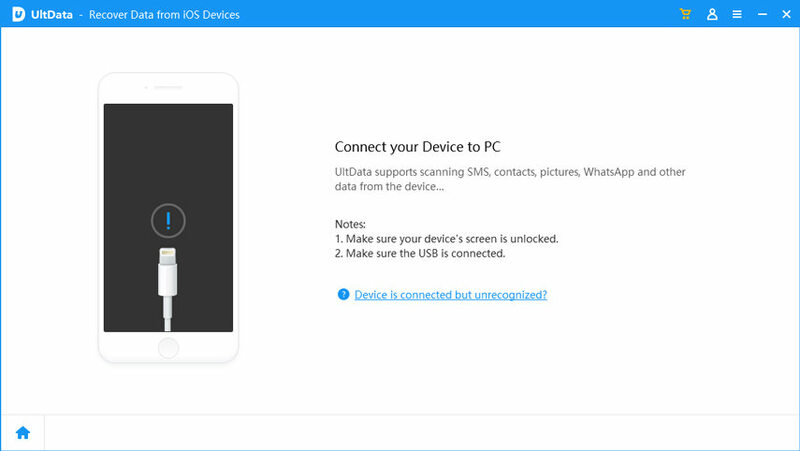 This wonderful software enables you to backup WhatsApp data selectively to your computer which you can restore to your iPhone later, once the device problem is resolved. Apart from WhatsApp, this application also supports various other apps like Snapchat, Kik, WeChat etc. for backing up their app data including attachments. You can tell us in your comments if this article helped you. Thanks for reading!